We love our pets and consider them family, so it is only natural to want to include them in everything from exercise to car rides, and even heading off for vacation. As family members, we need to take care of them. That’s why it makes complete sense that if we are using Young Living Essential Oils for our own wellness, why wouldn't we also treat our precious pets to the same beneficial products?! 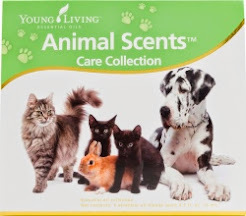 Thankfully, Young Living has just the product line for your pets: Animal Scents. If you’ve got a particularly exploratory pooch that finds ways to get some minor skin irritations or cuts, then try the Animal Scents Ointment. Be sure to clean the area, and apply the ointment as needed. If you’d like to apply essential oils to the irritation, then be sure to apply those first and put the ointment on afterward. Does your dog suffer from that wet dog smell? Or, perhaps your kitty cat got a little dirty in the fenced-in yard? Either way, treat your pet to the Animal Scents Shampoo. Lather them in a shampoo that cleans, fortifies and conditions their coat. This all-natural shampoo contains five powerful essential oils, which are blended to gently cleanse, increase luster, and enhance grooming. If you can’t get enough Animal Scents products, then try the Animal Scents Oil Collection, supports the proper growth and normal lifecycles of a wide variety of animals. Comprised of PuriClean™, Mendwell™, ParaGize™, Infect Away™, RepelAroma™ and T-Away™, this collection has oils with appropriate strengths for animals. You won't be disappointed once you give these pet products a try. Our pets depend on us to take care of them . . . . and the unconditional love they give us in return is beyond measure! ANIMAL LOVERS . . . . great news! The Animal Scents Care Collection is IN STOCK RIGHT NOW. Go to www.bit.ly/RavenYL and purchase either as a retail or wholesale customer. Wholesale Members save 24% on their orders! All you need to do is choose a Wholesale Membership Starter Kit and then continue shopping to purchase this AWESOME Animal Scents Care Kit. If you have questions on how to purchase this item, please Private Message me. It is Item # 4733. 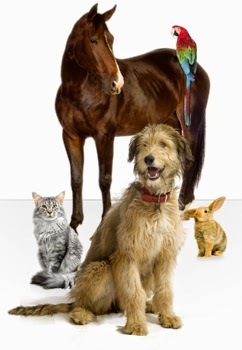 Animal Scents™ Care Collection supports the proper growth and normal life cycles of a wide-variety of animals. Inside are six, formulated in appropriate strengths for animals, exclusive essential oil blends that address the most common animal conditions. RepelAroma™: Apply 2–4 drops to your hands and pet onto your animal’s coat. Add to a spray bottle and spritz generously on your animal’s coat or skin. Diffuse to keep pests away from certain areas in the home or small areas outdoors. T-Away™: Add 1 drop behind each ear to calm during times of grief or agitation. * Diffuse for 30 minutes 3 times daily to support positive emotional perseverance. *Carefully apply according to the size and species of animal. General rule: Dilute more for smaller species.